This hdd was received as one dead hdd without any response when the user tried to powered on the hdd. After initial diagnosis to the hdd, it was due to the burnt PCB causing the death. The user found one compatible PCB of the same PCB number and swaped the PCB. After swapping the PCB, powered on the HDD, the hdd reached readiness but not detected. 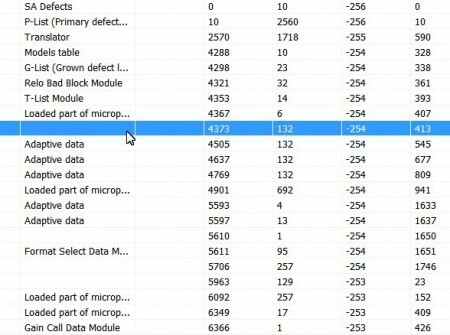 The module dir was read successfully but the hdd ID information was not detected. The user went to check SA modules by ID and read modules successfully. Next the user went to read tracks and the tracks were read successfully too. 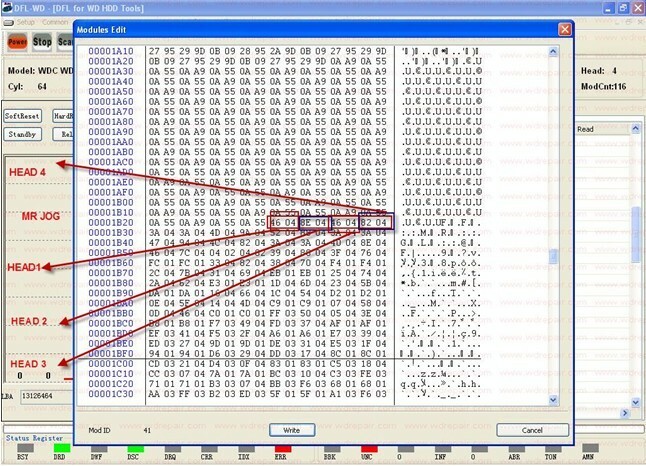 When the modules and tracks can be both read successfully but the hdd cannot be detected, users judge it can be a problem of microcode incompatibility and therefore the user found one module with microcode-module 19 and checked it. The microcode displayed on the program was 20A5 but what was found in the module 19 was 20AB. Users can also check module 12, 13 etc for microcode and therefore the user needed to find one ROM with the same microcode of module 19 and wrote to the hdd. The user closed the current interfaces and re-entered the program by kernel mode. The user wrote the main ROM file-20AB.bin to the hdd. After the ROM was written, the user powered off and on the hdd and entered the program by normal mode: The hdd was detected normally. 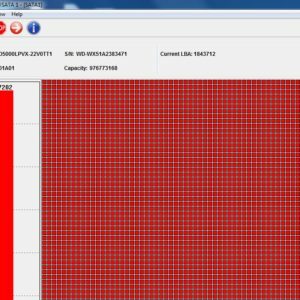 The user changed the LBA range and scanned the hdd again to see if the whole media was bad or not. The user went to ‘ROM Operations’>’Head Map Edit and Depop’ and view the head structure: 0, 1, 4, 5. This hdd had 4 heads. Next the user went to check the channel adaptive module-module 41. From module 41, the user can easily find the MR JOG parameters of each head, head 1-4604, head 2-8E04, head 3-4604, head 4-8204. The user went to menu ‘ROM Operations’>Head Adaptive Parameters Tuning’’ to check if the Mrjog parameters are the same like displayed in the module 41. So next the user needed to edit the mrjog parameters to the ones as module 41 and clicked Ok to write it. The user Powered off and powered on the hdd and entered the program by normal mode and found the new mrjog adaptive parameters have been written successfully. The users went to scan the hdd and the dead hdd was already fixed and ready for disk imaging and recovery. 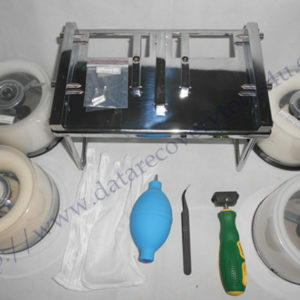 Users can visit Dolphin Data Lab data recovery product center for learn more details on DFL-WDII hdd repair tool and all other data recovery hardware tools. 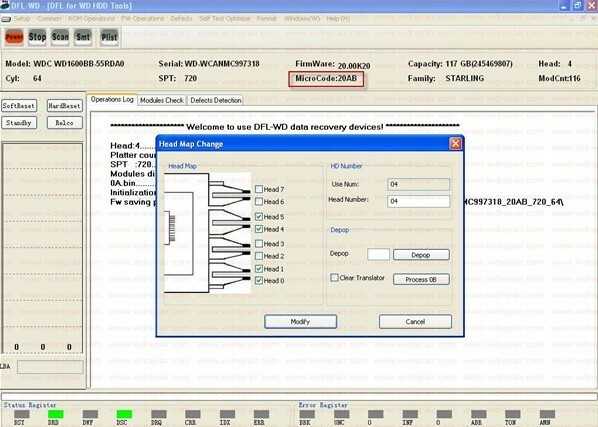 For a higher success rate of hdd repair and data recovery, cheers!